If you’re one of the “spiritual but not religious” people who questions your childhood faith or is looking for something more, this may feel like a homecoming. You may be one of the millions of people who have embarked on their own spiritual path. If so, you have just discovered a whole community of people like yourself. It is Unity—a spiritual movement that honors all paths to God; sees God as good and everywhere present; and affirms the spark of Divinity in all of us. Discovered us through our Sunday celebrations, events, classes, or workshops. Wherever you are on your spiritual journey, we will meet you there. 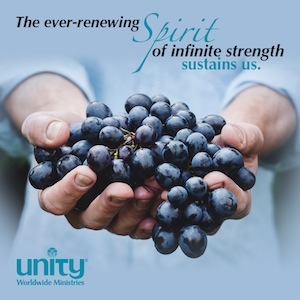 If you are new to us, please explore our website to learn more about Unity, our church and our beliefs. Aligned in peaceful Oneness, we co-create a world of love, harmony, and abundance through shared spiritual awakening. • We believe that prayer works. • We facilitate a stronger connection to our highest potential. Spirit-Led–We are centered in God. Spirit leads our thoughts and actions as we co-create a world that works for all. Generosity–Living in the infinite flow of God’s good, we draw from God’s inexhaustible supply and wisely use our rich resources to serve the world. Transformation–We are a dynamic movement on the cutting edge of spiritual evolution. 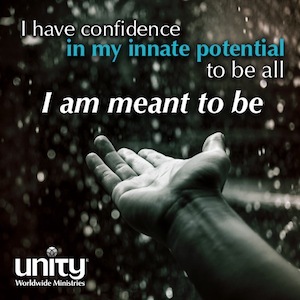 We teach universal spiritual principles that change lives. Diversity–We believe that all people are created with sacred worth. We promote greater understanding among people in a spirit of unity. Integrity–We act from a place of wholeness and are ethical in all our actions. We keep our word.